Lettuces are easy to grow, cool season plants that have been cultivated for over five thousand years. There are four different types of Lettuce. 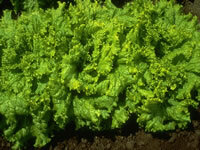 Crisphead or Iceberg Lettuce are the tightly packed, 6"-8" globular heads of Lettuce that you buy at the store. Head Lettuces are a little fussy about temperatures and won't head well in temperatures above 60°. Choose heat resistant varieties that will mature in about 75 days. Butterhead Lettuce forms a loose, 12" plant of smooth, fleshy outer leaves surrounding a tender heart. Butterhead Lettuce matures in 65 days. Loose Leafed Lettuces form a round rosette of loose leaves that can be harvested by cutting across the leaves 1" above ground level. New leaves will sprout up from the stump. Start harvesting in 45 days. Romaine Lettuce grows upright to about 10" tall, producing loose crisp leaves surrounding a tender, flavorful heart. Romaine matures in 60 days. When planting Lettuce it is very important to select cultivars that are appropriate for the current growing season. Plant rows of several types at different intervals throughout the year for a continuous supply! Lettuce grows best when temperatures are between 50° and 68° during the day and cooler at night. It should be grown in full sun or in light shade if the weather is hot. 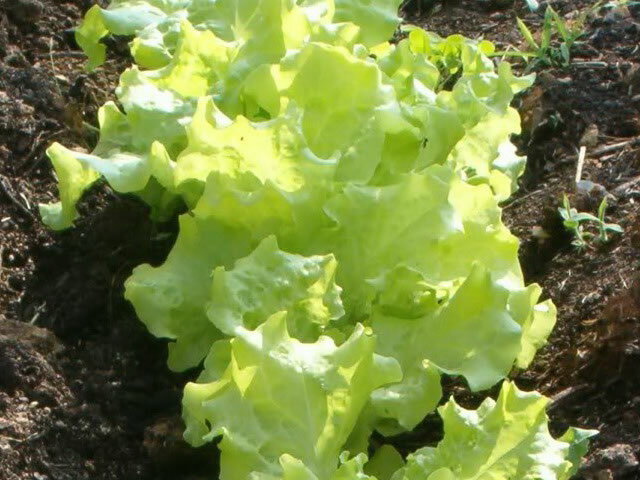 Lettuces should be planted in fertile, moisture retaining, light soil with a pH of 6.5-7.0. Fertilize lightly prior to planting Lettuce, and lightly again every 3 weeks, using a high nitroger fertilizer. at which time your Lettuce plants are likely to bolt if the soil dries out at all. Lettuce seeds require light for germination so do NOT cover them! Lettuce seeds can be planted directly into the garden in early spring, as soon as the soil can be worked. 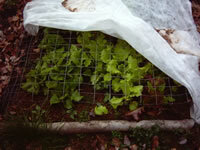 Plant leaf types 4"-6" apart and head Lettuce 10"-12" apart in rows spaced 12"-18" apart. A fall crop can be planted in late summer. the last killing frost date in your area. Maintain a temperature of 65°-70° until germination, which takes 7-10 days. After germination, continue growing on at 55°-60° until moving to the garden. so use care when transplanting them into the garden. 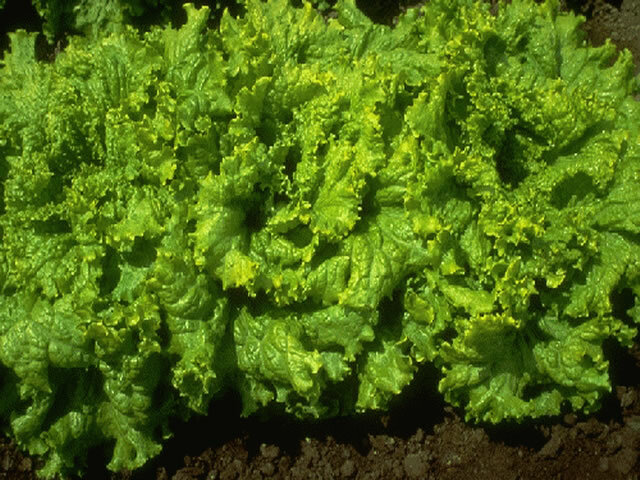 pests and problems that can affect, damage or destroy your Lettuce Crop. soft mushy spots inside the Lettuce while showing no damage on the outside. Cut and destroy infected heads to prevent the spread of this bacteria. Do not compost them! Birds will feed on your Lettuce seedlings and Rabbits will munch on Lettuce at all stages of growth. Armyworms and Corn Earworms feed on developing crowns. Cabbage Loopers chew holes in leaves and burrow into mature Lettuce heads. Cutworms are nocturnal caterpillars that cut plants off at the ground level. To protect your plants, you can create a simple Lettuce cage using stiff chicken wire arched over the row to keep the birds and bunnies out. Covering the wire with a floating row cover will prevent moths and other damaging insects from laying their eggs on your plants in early spring.